Here is the Little Guy today after his 2PM feeding. Ready to get the UV light turned back on. 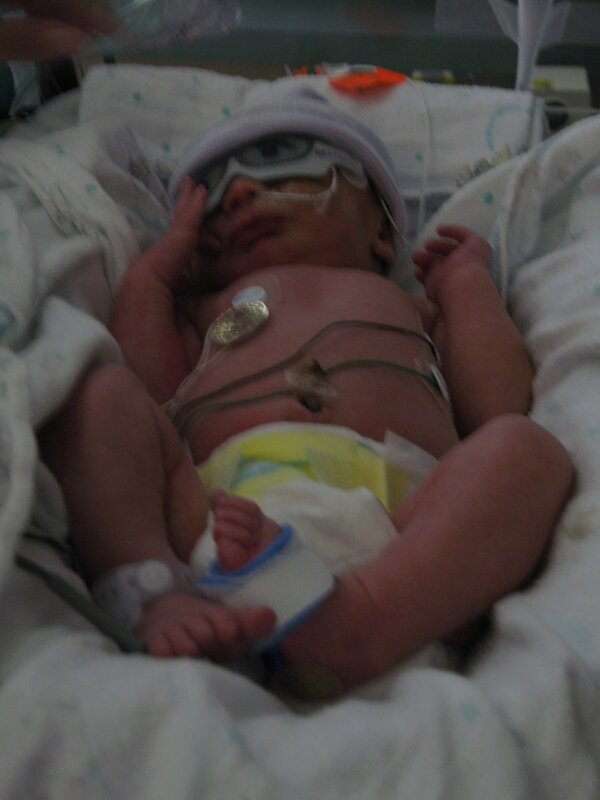 His bilirubin is still high, so he still has to be under the UV light. They gave him a different light today, it provides a much greater surface area and will hopefully help him to return to normal levels faster than the other light. His color is actually much better than when I first met him on Tuesday. He up to 2 ounces of formula today. He was visited by the speech pathologist and passed all of his tests with flying colors. These tests are done to assess any developmental problems and are all centered around the sucking reflex. It also is used to determine if he can move on to the bottle and/or breast. Tomorrow he will be visited by the physical therapist. We are all taking an infant CPR class tomorrow. Tune in tomorrow for an update! 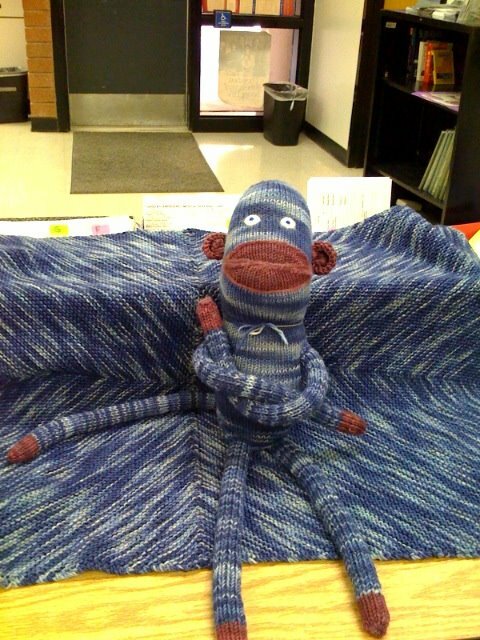 Here is Jackson’s Big Monkey and his matching blanket. He needs a name (the monkey, not the Little Guy). Hmmmm….George is too obvious. Is Queck a possibility? (inside joke) He looks serious in this photo. He is visiting my office. Let’s have a naming contest. Leave me a comment with your ideas. 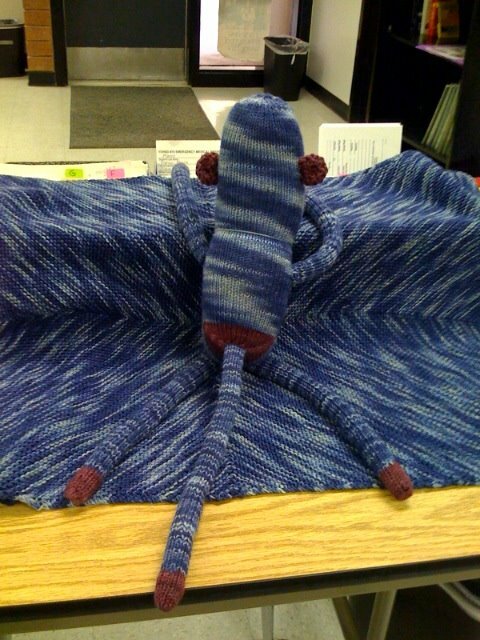 The winner will get a hat or scarf custom knitted for you in whatever color you desire. Unless of course, you ARE a knitter, in which case I will do a stash dive in my “Yarn Sanctuary” (aka extra bedroom) for you. He is praying that someone will come up with the perfect name, because he’s pretty sure he doesn’t want to be named Queck.